Update: The Mount Haven Resort has closed. One of our all-time favorite places. Good luck to the entire staff and family in your future. 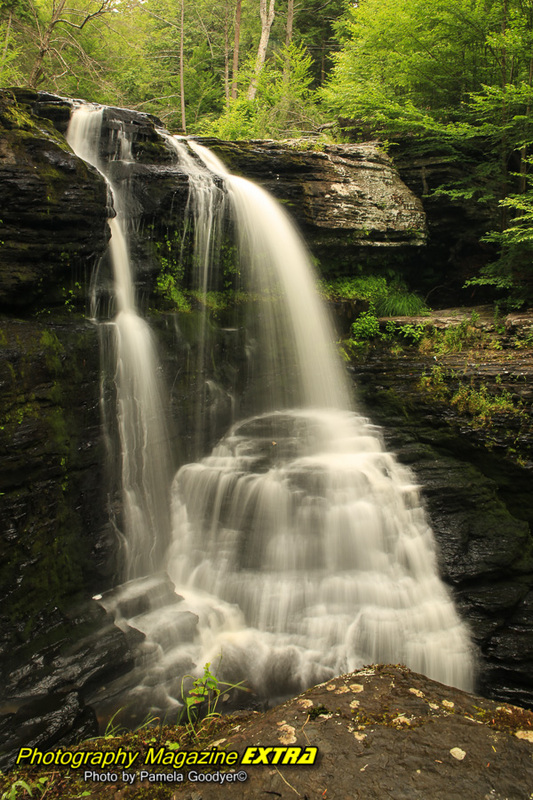 The Pocono area is an excellent location for long exposure waterfall photography. We also like this area for doing dark sky night photography. It’s not the darkest skies but its pretty good. When we go here, we stay at the Mount Haven Resort which is right in the middle of the waterfall area. Update, the Resort has been sold. It is no longer a place for us to stay. It was one of our favorites. We will be out in search of a new hotel to stay in whilst in this area. Bushkill Falls is the apparent waterfall location in the Poconos area but it is not ideal to bring a tripod, and you will fight the crowds at this busy tourist attraction. We like the off the beaten path waterfalls like this one to the right where on a hot summer day we only encountered about 10-12 humans in the park. (Pam steers clear of humans as much as she can)We also like the waterfalls that are not far from the parking lot. After all, we are photographers, not hikers. Don’t get us wrong, if the shot is out there and it’s dynamic we will hike to it, but we do prefer to spend our time photographing. Not hiking. 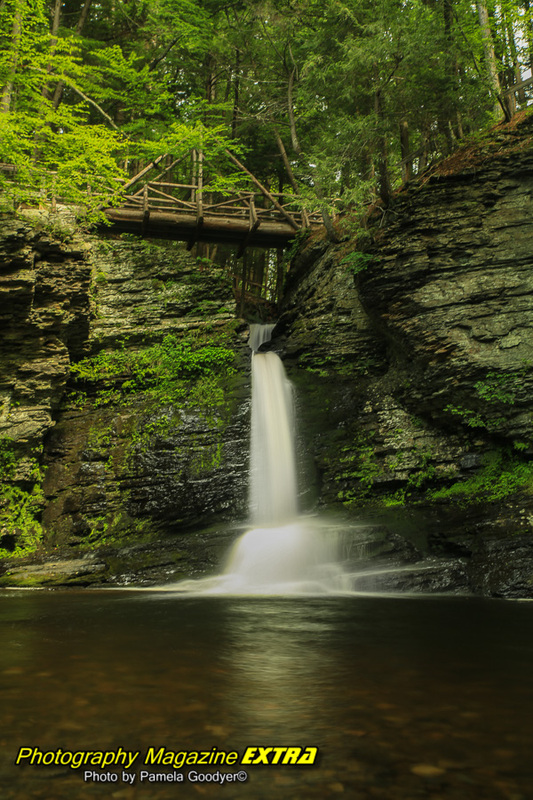 There are six good waterfalls in the Mount Haven Resort area that are not too far of a hike off the road. That’s why we like to stay at the resort. It’s in the center of all of our waterfalls. You will pass by Raymondskill Falls on Raymondskill Road on your way to Mount Haven Resort and Restaurant. UPDATE: 2017 – Mount Haven Resort has been sold and is currently closed. 🙁 When using your base camp at Mount Haven your first waterfall is only a mile or two from your resort. We enjoyed this resort tremendously and will find you one just as good to stay at shortly. Grey Towers is less than 15 minutes from the resort for a nice tour and some good architecture photography. These long thin waterfalls do not make the absolute best images but don’t pass up the experience of the beauty of nature here. Milford Pa is right in the middle of it all here. 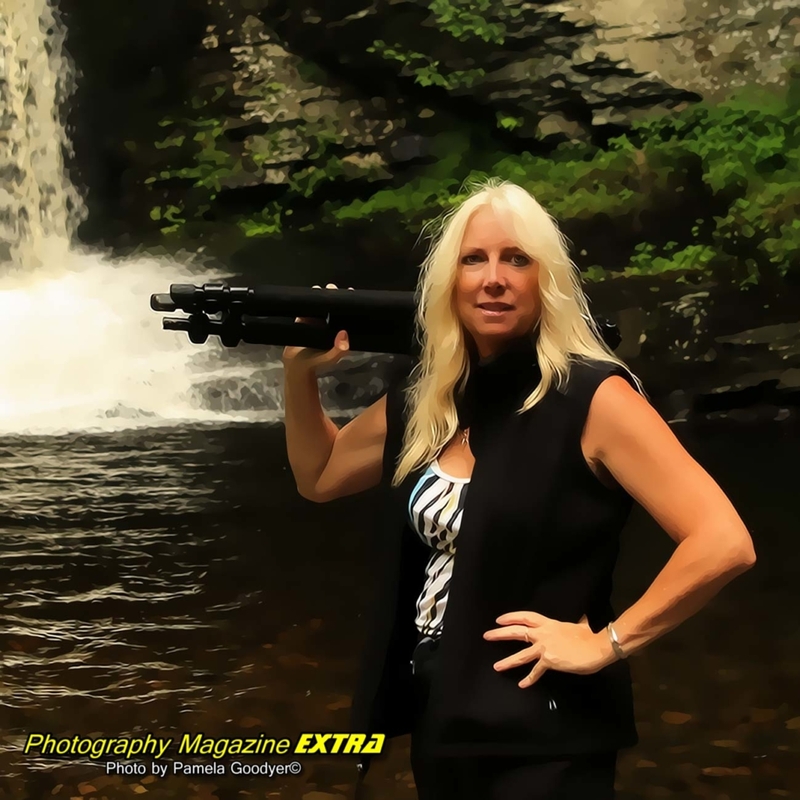 Join award winning photographer Pamela Goodyer for this Poconos Waterfall Workshop Weekend. June 2019 – Click image for details. 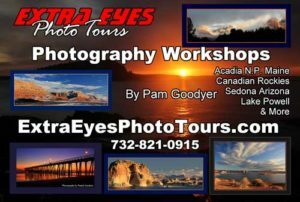 Save Early Bird Registration Special. After spending three years and $2.9 million on a significant renovation, the National Park Service has re-opened the sublime Child’s Park to visitors. This is a top waterfall location in the area. 321 Silver Lake Rd. Delaware, Pa. just a short 6 miles from Mount Haven Resort our base location. The park now includes accessible trails and picnic sites, new, modern-looking restrooms in the main parking lot, new stairways, and new overlooks from which to view the falls. There are a few falls here that can be viewed from different angles. A rare sighting of world-renowned Pamela Goodyer. The photo was taken by Mark, (Pam’s camera) and a complete stranger. Yes, she for the only time let someone touch Mark. (Very jealous). Mark is a 5D Mark III, hence, the name Mark. He is now called Mark Jr. since she has a new addition, Mark Senior. 5D Mark IV bought at the photo center in Brick N.J.